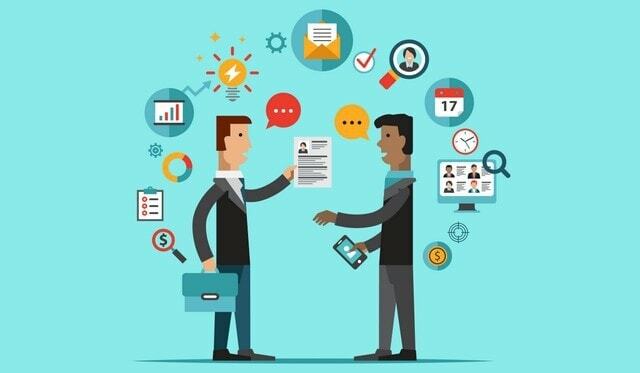 As an employer, hiring new people can be an expensive and time consuming process. That’s why it’s important to get it right first time and avoid having to hire for the same position twice. The cost of a losing a new employee is more than just money lost, it’s the time you have invested in on-boarding, training and nurturing the new employee into your business. Finding the best talent is increasingly competitive so when you do find a star candidate, making sure that they stay on board is crucial. Once your amazing new employee has accepted your offer, how do you manage their post-hire experience? What do you do during their notice period? What experience do they have in their first week on the new job? It’s important to be realistic with all candidates during the recruitment process so that there is nothing they’re not expecting when they start in the role. Always discuss the challenges of the role during the interview stage and be honest about what will be expected from a person in the position they are going for. Give candidates the chance to experience the working environment before they start; show them around, introduce them to their co-workers and give them an insight into what a typical day looks like. This will eliminate the chance of new employees being shocked by the culture of your company when they start. As an employer, you’ll know the first few weeks in a new job are the most important when it comes to retaining employees. 69% of employees are more likely to stay with a business for over three years when they experience a good on-boarding process. Successful training will put employees in the best position to get off to a flying start and help them to be as productive as possible when they get going in their new role. Be clear about compliance and exactly what is expected of employees to avoid any problems further down the line. It can be easy to overload new employees with information in their first few weeks so try to diversify training with practical sessions where they can effectively learn on the job. Employees will probably retain information better and be more engaged with training sessions that are interesting and hands-on. It’s still important that they settle in and feel comfortable with their new environment. Arrange an informal event to welcome them like lunch out with the team or a few drinks after work. After their training period; your new employee is still fresh to the business and probably requires some attention. Unfortunately, only 37% of companies extend their on-boarding program beyond the first 4 weeks. Match your new employee with a mentor; someone who they can turn to with any queries or concerns that can provide them with the support and advice they need. Post-training period, schedule in regular informal reviews with the new employee so there is no risk of them feeling lost. Provide them with a clear sense of their role and purpose within the organisation. Remember, your employees are your biggest asset and if managed effectively, happy employees are the biggest advocate of your company too. If you’d like to find out more about how we can help your business find the best talent get in touch on 0282 570 500 to chat to one of our consultants.